The US industrial giant DuPont unveiled a fresh global brand identity and logo which recognises its heritage while conveying the company’s focus on a customer-led innovation strategy and purpose-driven culture. 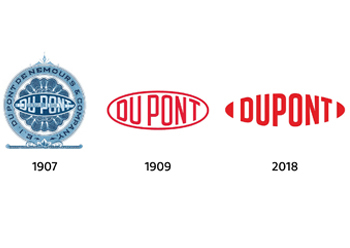 For over 200 years, DuPont has been synonymous with life-changing discoveries and scientific know-how, reinventing ourselves along the way, said a statement from the company. DowDuPont announced in February that its Specialty Products Division would carry the DuPont name when it becomes an independent company, which is expected about June 1, 2019, subject to approval of the DowDuPont board of directors and other customary closing conditions, it said. “It preserves the legacy shape of the iconic DuPont Oval, which for more than a century has provided a seal of quality, performance and trust, but it will no longer be constrained by an elliptical border – signalling a collaborative and open flow of ideas and innovation,” she added. As a premier innovation company, DuPont discovers and delivers value-added specialised solutions that foster sustainable progress and enrich people’s everyday lives. DuPont’s new brand purpose – “To empower the world with the essential innovations to thrive” – builds upon a rich history of discovery and progress. Some examples of DuPont’s best-known product brands include Kevlar fibre, Tyvek high-performance materials, Sorona renewably sourced fibre and Danisco food ingredients; and the new DuPont portfolio includes Great Stuff insulating foam sealant. Beginning last month, the new logo will appear and be featured on all its digital channels. Packaging and signage will be changed over gradually following the launch of the new company, it stated.